Long-suffering Hattie Campbell and her irascible husband Abel are in their 80s and still manipulating, enabling and worrying about their four adult children all of whom have, to some degree or other, addiction, jealousy, and neediness. The sun around which they circle is Billy, the youngest of the siblings, who is both the most likeable and most damaged. As Abel’s health declines and Billy deteriorates, the remaining siblings compete to win their parents’ favor by trying to resolve the family’s perpetual problems once and for all. Peery’s long awaited follow up to her National Book Award finalist The River Beyond the World is a sympathetic portrait of a dysfunctional, complex, and often funny clan who, although they try, can’t slip the family ties that bind. Winner of the Library of Virginia's Emyl Jenkins Sexton Literary Award for Fiction! 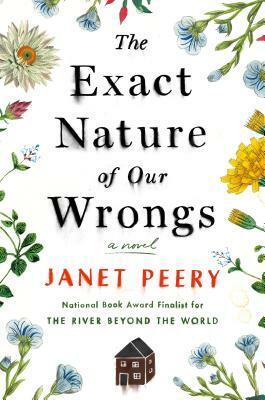 Janet Peery is the author of Alligator Dance (stories), What the Thunder Said (a novella and stories), and the novel The River Beyond the World, which was a finalist for the National Book Award. She has received numerous honors for her fiction including the Rosenthal Award from the American Academy of Arts and Letters, the Whiting Foundation, the Guggenheim Foundation, and the National Endowment for the Arts, among others. She lives in Cape Charles, Virginia.